The summer is slowly starting to fade(finally) and with the decreasing temperatures the monsoon has slowly but surely started and i cannot wait to make some healthy soothing yet simple foods to cherish. I was strolling through the market taking in the aromas of all the fresh mangoes and i knew mangoes are the king of the summers but i saw some beautiful oranges lying innocently among the piles of mangoes. I am enjoying the mangoes and i don’t know but i love to eat fruits as they are. But i thought why not make use of these fresh oranges and make a simple and healthy desert. 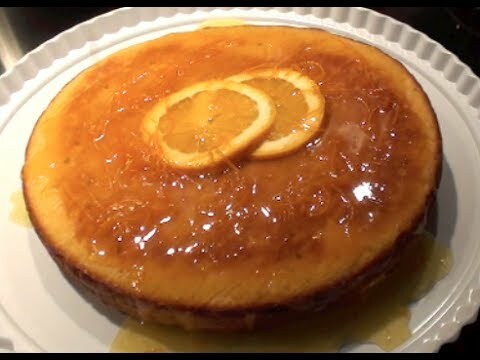 So with any further ado, let me share this simple, healthy and super easy Orange cake recipe with you. Place the oranges in a saucepan and fill with cold water. Bring it to a boil over medium heat and cook for 15 minutes or until tender. Drain and fill it again with cold water and bring to a boil and cook for 15 minutes (this will reduce the bitterness of the peel). Drain and wash oranges under cold water. Coarsely chop these oranges, remove and discard any seeds and processor it until smooth(You can use a food processor or even a hand blender works too). Add in the rice flour, vanilla essence(optional), baking soda, milk, eggs and honey. Mix well. Make sure there are no lumps of flour. Do not worry if the batter is a bit chunky coz of the orange pulp. It will add texture to the cake. Grease cake tray with coconut/olive oil. Pour the batter in. Bake for 55-60 minutes or until cake is ready. PS: If toothpick inserted into the cake comes out clean, it means your cake is ready…..
Drizzle some chocolate syrup/honey and Garnish the cake with coconut flakes and choice of fruits.